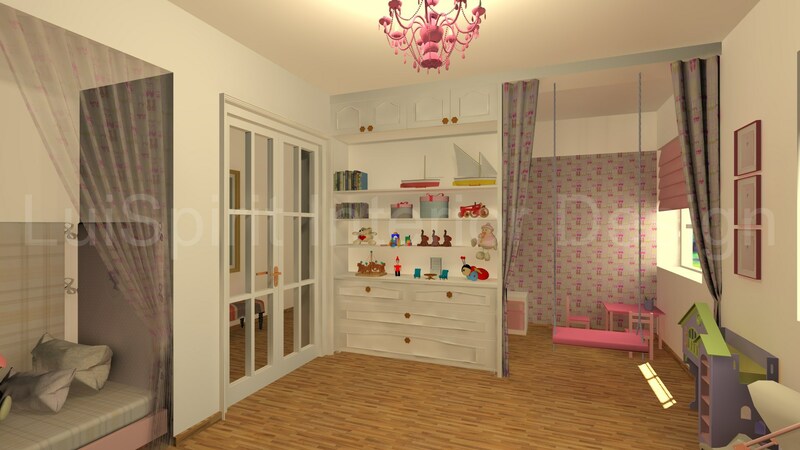 I have designed this bedroom for the small daughter of one of my friends. 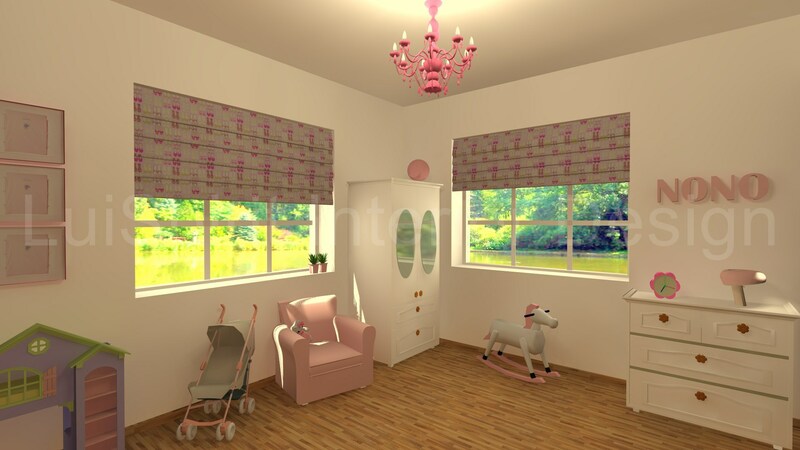 This is a true cute girl bedroom in pink. There is a smaller nook with courtain for hide and seek separeted by simple shelves. Also the Built-in bed is courtainable. 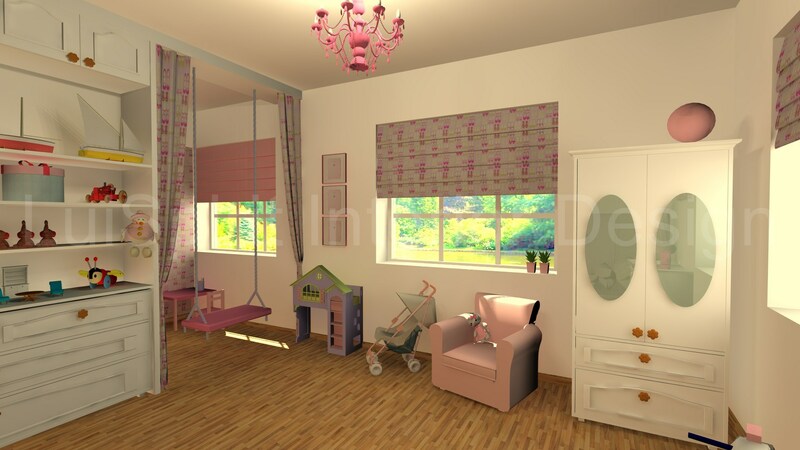 My favourit is the swing inside, this is also what I dream of into my own living room. 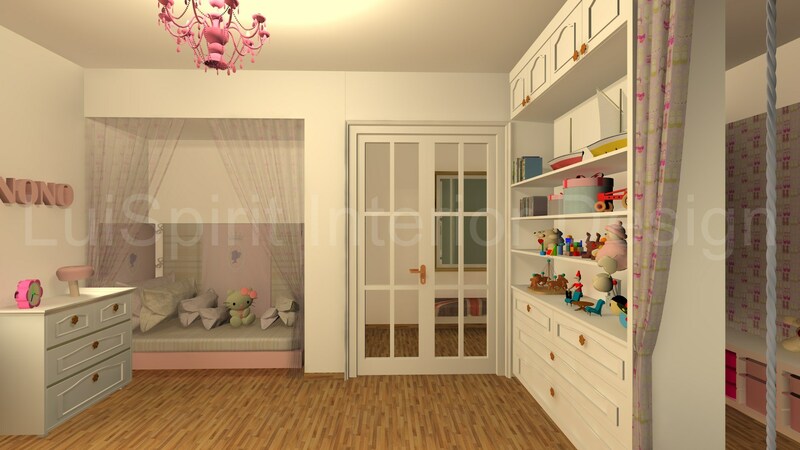 The classic-style chandelier is also a pink one.